Behold my immaculately maintained work table! You might have noticed that there was no Work In Progress Wednesday last week. That's because I was on vacation and pretty much just completely checked out. Now I'm back and feeling recharged. Here are a few of the things I've been working on this week. 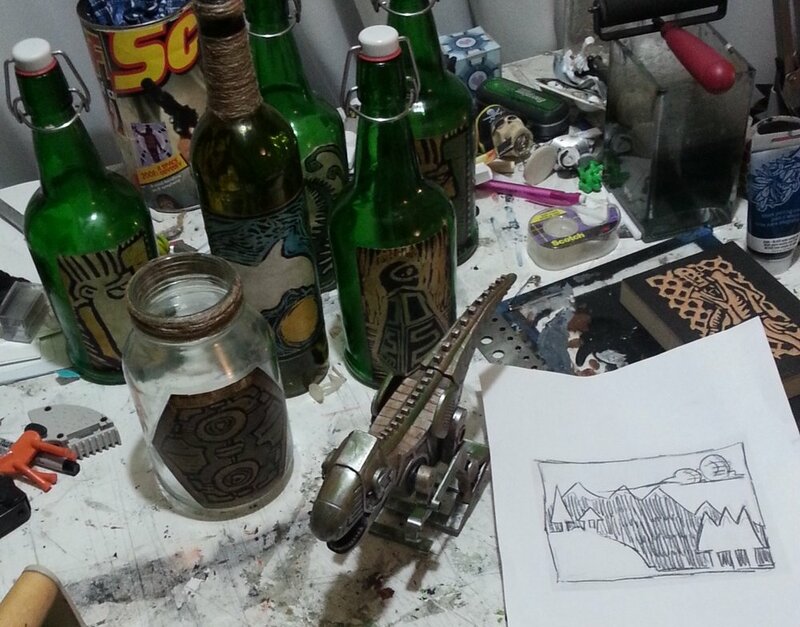 I labeled a bunch of bottles, most of which were donated by my friend R, I started painting a toy dinosaur for a planned diorama, and then there's the subscriber prints I need to get back to.